Aerial Yoga is alignment based traditional yoga taken up a notch with a prop called a swing or a hammock that is suspended from the ceiling. The swing feels like a fun piece of playground apparatus allowing you to defy gravity by doing a variety of inversions easily and effortlessly. Aerial is designed to increase overall health and physical agility. It is appropriate for all fitness levels. Size, shape, or age is no longer an excuse or obstacle. 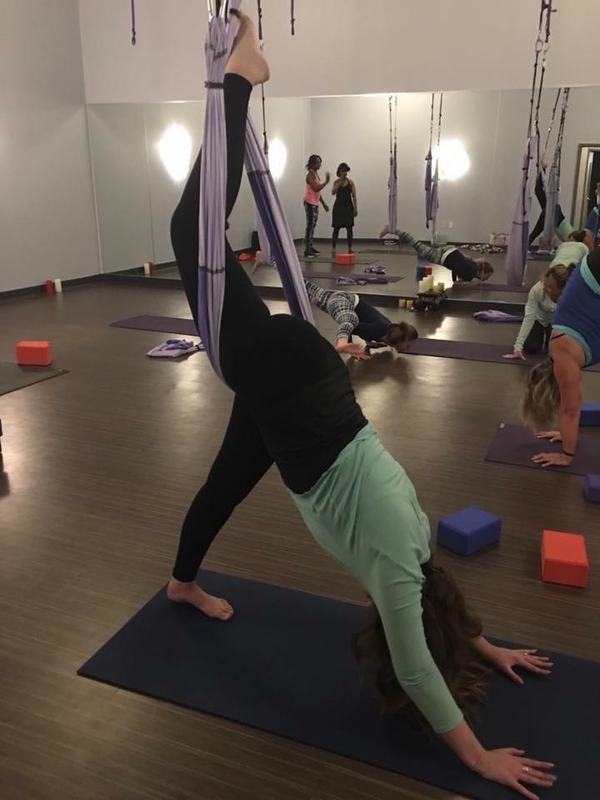 ANYONE can partake and benefit from Aerial Yoga. In fact, most people are surprised to learn they can achieve the majority of yoga postures in their very first class, leaving energized and excited to return for more! Many people report that hanging suspended in the air has done wonders to reduce stress, improve their youthful appearance and increase energy and well-being. The swing supports you as you build your strength practicing traditional postures correctly so you can obtain proper body alignment, reducing the risk of injury! The swing allows you to hold challenging yoga postures longer and deepen your practice. With less strain, you can stretch further while increasing flexibility. Build better body awareness and increase overall agility. Decompress tight joints and align the vertebrae of the spine. 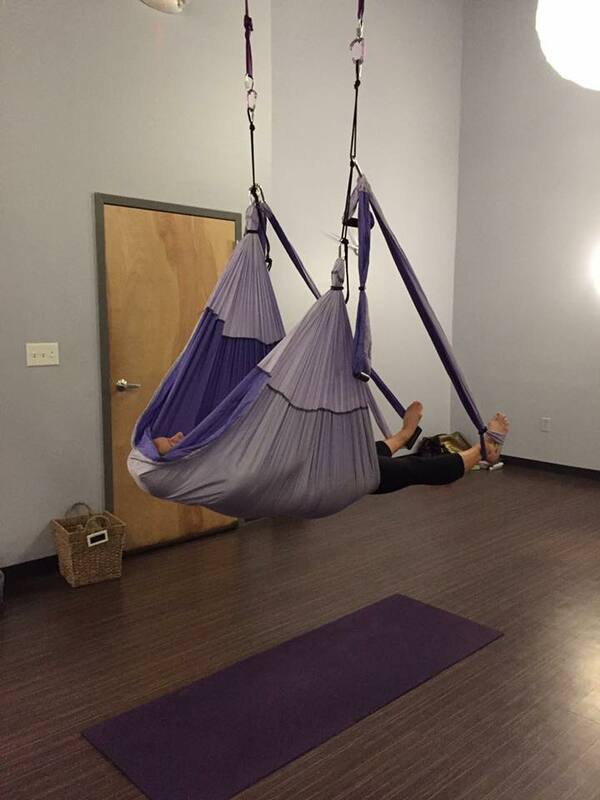 Aerial helps you perform advanced yoga inversions without neck or back compression. Allow rich oxygenated blood to flow through your system, automatically flushing out stress hormones and stimulates the production of relaxation neurotransmitters. First time? Be sure to reserve a slot in a beginner class. Wear comfortable clothing and refrain from eating two hours prior to class. Who should not practice Aerial Yoga?